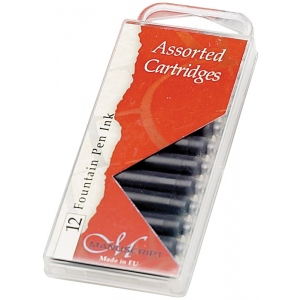 Standard international cartridges that fit most fountain and calligraphy pens. * Available in black, blue or sepia. * Sold in packs of 12.